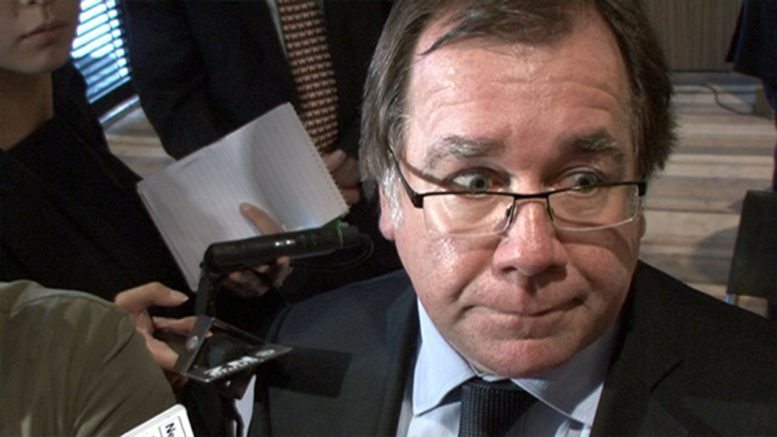 New Zealand Foreign Minister, Murray McCully, is a man on a mission. Undeterred by the failure of Bill Clinton, Madeleine Albright, John Kerry, Condoleezza Rice and Joe Biden to bring the conflict between Israel and the Palestinians to a peaceful resolution, Mr McCully believes he can, through the UN Security Council, succeed where those illustrious individuals failed. His optimism is commendable, particularly in light of recent history, his lack of peace-brokering experience, and his evidently superficial grasp of the realities of the situation. The latter was brought into clear and shocking focus at his recent address to the Auckland Jewish Community, hosted by the NZ Zionist Federation, which left his audience somewhat dumbfounded. McCully has recently claimed that Israeli settlements are the principal obstacle to peace in the region. As Shalom.Kiwi has previously pointed out, this claim is not borne out by the facts. It ignores both the troubling reality of ongoing Palestinian violence and incitement, and the recent history of numerous, credible, offers being turned down by the Palestinian leadership. Put simply, while the settlements may well be unhelpful, the responsibility for the failure of a peace agreement rests on a Palestinian leadership that lacks the will to make peace. Unfazed by the sharp criticism he has received for blaming Israel alone for the deadlock, McCully maintained his position and doubled-down on his claim in front of the mainly Jewish audience, arguing “There is no other way to describe the ongoing settlement activity. It is counterproductive and unhelpful”. Many in the audience might have agreed that ongoing settlement activity is both unhelpful and counterproductive. However, McCully’s wilful failure to acknowledge Palestinian agency in the status quo was widely seen as deeply worrying. When asked about the role of Palestinian terror in the current stalemate, McCully declined to distinguish between Palestinian attacks on Israeli civilians and the Israeli response to such attacks. When pushed, he refused to call the current wave of stabbings, shootings, car-rammings and suicide bombings “terrorism”, snapping; “You can call it what you like…you choose your words, I’ll choose mine”. In relation to the terrorist group Hamas (which currently rules Gaza), McCully conceded that it had “stopped short of formally accepting the Quartet Principles” – an observation that provoked astonished laughter from a shocked audience. The Quartet Principles include recognising Israel, abiding by diplomatic agreements and renouncing violence. As one audience member responded, this was rather a generous comment to make about an organisation whose statements, charter and purposes are the annihilation of Israel, not in order to make a Palestinian state, but because of a religious objection to Jewish sovereignty in any part of that land. Hamas continues, on an ongoing basis, to plan and execute atrocities aimed at inflicting maximum casualties on Israelis. It is an organisation that revels in bloodshed, honouring “martyrs” who kill Jews and teaching children that this is an honourable and desirable goal in life. To say that Hamas “stopped short” of agreeing to such principles is an understatement of such magnitude as to be detached from reality. Asked a simple and obvious question: “Why would you think that New Zealand might succeed where President Clinton failed, where the generous offer made in 2000 by Israel with the backing of the Americans and the more generous offers in 2008 failed? It would seem to us that the fault lies not so much with Israel but with Palestinian rejectionism and we don’t hear you condemn it,” McCully floundered. His response, in essence, was that we should not give up just because it did not work before. Unable to respond to the claim that Palestinian rejectionism is the issue, McCully simply put the onus back on to Israel to keep trying. In an observation of geo-political seriousness on a par with Sarah Palin’s famous “I can see Russia from my house”, McCully’s answer was, “I would try and find a way of sitting down with people who live an hour’s car journey away to hammer out a solution”. In a final flourish at the end of the event, McCully took to the stage to offer what many hoped would be a sign of meaningful reflection on the concerns aired. Alas no; Murray McCully’s parting words were an appeal to New Zealand’s Jewish Community to call their Israeli friends and family and ask them to put pressure on their government. At once condescending,oblivious of the ardent yearning for peace held by such friends and relatives, and signifying an abject failure to comprehend the issues raised, McCully’s words were met with scornful derision from an audience already on the way out the door.